Our team of experienced interior painters has the skills and equipment to get the job done right – the first time, every time. We have access to certified color experts who can help you with your color selection needs. Whether you need just the trim painted or the entire inside of your home, our professional painters will be there from start to finish. Our end goal is to make sure your home looks exactly the way you envisioned it to be. 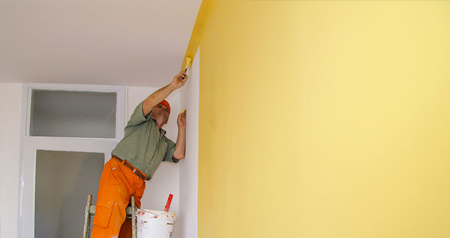 At Particular Painting, we know how valuable your home is to you. We take the time to prepare and set up properly to make sure your home is painted the way you expect and that nothing is damaged in the process.